Updated: 5/24/2018. 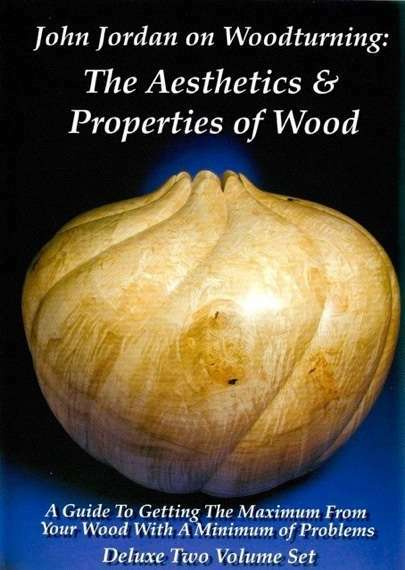 Add “Project Books” section and Jordan “The Aesthetics & Properties of Wood” DVD. Here are the books and DVDs I recommend to students when I teach a class. You may be able to get these books from your local library, otherwise purchase from Packard Woodworks Inc or Craft Supplies USA or Amazon. I often save money by purchasing used books via Amazon. 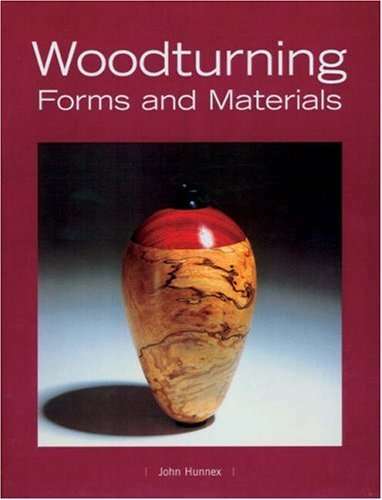 Everyone should have a copy of this book for the “Laws of Woodturning” chapter. The woodturning world seems to generally agree these are the safety laws that should not be violated for any reason! The laws are simply stated and then succinct explained in words with good diagrams. 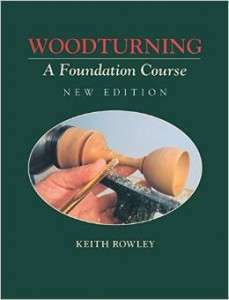 This book also has good descriptions of the spindle tools (roughing gouge, parting tool, spindle gouge, skew, etc) for beginners. Good step by step diagrams of how to use the tools to turn beads & coves, etc. Also good photos. 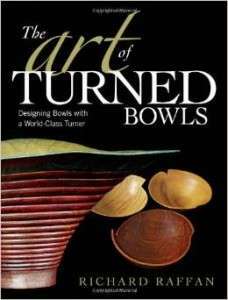 The bowl turning (faceplate turning) stuff in this book is useful but dated. 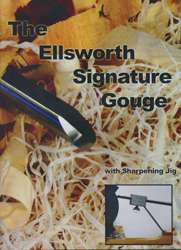 Most people now use bowl gouges with an Ellsworth/Irish/Sinde grind rather than the Traditional grind shown in this book. Thus I prefer the Ellsworth book shown below. DVD: Keith also has a DVD. Same tile and image. I think the DVD is good for beginners. A little slow for experienced people. 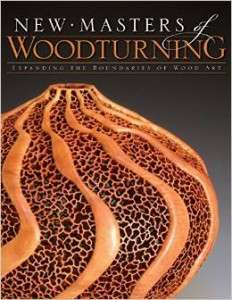 The DVD does a good job showing the “Laws of Woodturning”. The traditional grind bowl turning stuff on DVD is not my cup of tea. The goblet project on the DVD is good for beginners and there is also an interesting lamp project on the DVD. The book is a must have. The DVD is nice to have if you can pick up a used copy on Amazon for $20 or less. You can check out the preview on YouTube. 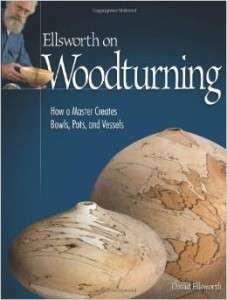 This is my goto book for Bowl Turning, Hollow Forms and Sharpening. 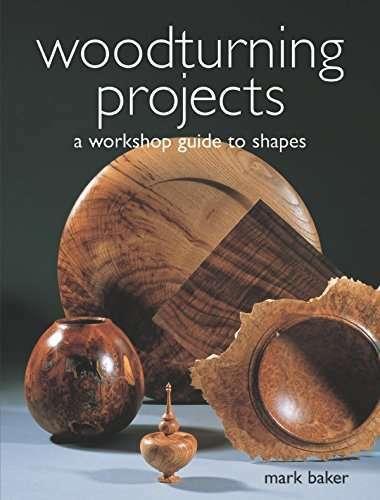 Very good chapters on Sharpening, Faceplates, Cut Rim & Natural Edge Bowls, Hollow Forms and Sanding. Definitely worth reading cover to cover. All of the photos and diagrams in the book are top notch and very useful. This DVD is a MUST HAVE! It is a fantastic learning aid because the TV camera is over David’s shoulder. So you see, what David is seeing. You feel like you are looking thru his glasses. You can see precisely how David is holding the gouge and manipulating it. You can see the angle of the gouge, where and when David rotates the gouge, etc. Note: This DVD actually first came out as a video tape long before the above book. It now, very nicely, complements the above book. Check out the preview on YouTube before purchasing. It is always good to get a second opinion. This book complements David Ellsworth’s book nicely. The pictures in the book are gorgeous. However, the reason I really recommend this book is for the “Profile Templates” drawings that show several different variations of basically the same bowl design. The good and bad points of each variation are discussed in the text. There are lots of great drawings. There is some good “Design” stuff in Ellsworth’s book. This book really goes a lot further into “Design”. It also has 2 good chapters on Surface Decoration. 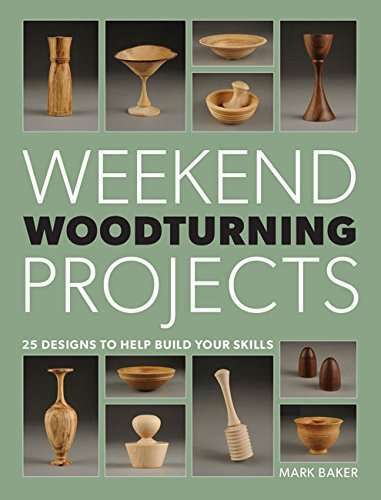 There are no fixed (must do) projects in my Woodturning Workshop classes. You can do anything you want. However, some students need something to help get them started. I use the following books in my classes. Listed below in the order I like them. We do the projects in the books as is. Or use it as a source of inspiration. Then improvise on the theme. Like Jazz music. I really like this book because the projects all have really great lines/shapes. It is really head and shoulders above all other project books. Great book format. Great full page photo of the project on the left with a very good full page drawing with dimensions on the right. All of the photos in Mark’s books are of REAL projects. NO Sketch Up (or what ever) 3D renderings of things the author has not turned. I also like this book, but not as much as the above book. This was Mark’s 1st project book. The above book is Mark’s 2nd project book. The format of this book is also very good. Photo of project and text on left with drawing with dimensions on the right. The projects in this are NOT the same as the above book. This book has a lot more projects students often want to try. It has 10 Boxes, 10 Bowl, 10 Platter, 10 Hollow Form and 10 Natural Edge projects. All with good photos and drawings. Both of Mark’s books suffer from being Metric first, then translated to English dimensions with stupid 1/32″ accuracy. So you see dimensions like 31/32″ rather than 1″ in the project drawings. I just round everything off to 1/8 of an inch. Anything less than 1/8 of an inch is to small for me to worry about. When my students with some experience flip thru this book they always fall in love with something. The shapes of the bowls and vases in this book are just fabulous. Thus we often use this book as a source of inspiration. The overall sizes of pieces are given. But, there are no drawings with dimensions, how to text or photos, etc. It is really just a picture book. This book is listed again below under “Picture Books”. See my comments there on how to find a copy. This is a picture book that students with some experience like to use as a project book. Students are drawn to some of the surface decoration stuff, exotic woods, turning plywood, and laminated platters. There are good pictures of over 100 pieces. The format of the book is 1 piece per page. Photo on top with brief text on bottom. The text shows overall size of piece then a brief description of the piece. There are NO step by step directions or drawings with dimensions. 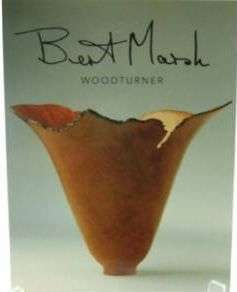 Last year, I attended a woodturning symposium at which a well known Irish demonstrator suggested that if you want to turn a great looking bowl just pick out anything in Bert Marsh’s book. I agreed with him wholeheartedly. The shapes of the bowls and vases in this book are fabulous. This book has been out of print for a long time. Used copies shipped from the UK, use to be around $150. You can now get a used copy in the US on Amazon for around $10. This book is a fabulous picture book with artist profiles. The format and layout of the book is very appealing and the photos are really inspiring. If you are looking for inspiration then this is the book! If you are looking for artists that you want to see in demos or take a class with then this is the book! This book is currently out of print and around $36 used on Amazon. I purchased mine new for $30. This book is similar to the above book. Great photos of highly embellished work with artist profiles. This book has more photos for each artist. But, I like the above book better. At only $20 on Amazon it is hard to go wrong with this book. 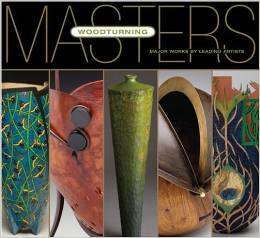 Note: I think this book replaces the old “500 Wood Bowls: Bold & Original Designs Blending Tradition & Innovation by Lark Books” that is now out of print and definitely not worth the $50+ used price on Amazon. I am not a big fan of Captured Bar Hollow Systems (Jamieson, etc). I don’t known of any books that cover Munro or Captured Bar Hollowing Systems. This is a very dated video. Circa 1994. 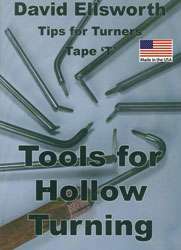 The fundamentals of hollowing have not changed, thus this tape still has lots of good stuff for beginners. It features hollowing with LARGE Ellsworth style tools. I recommend using SMALL style Ellsworth tools rather than LARGE. Everything on this tape applies to SMALL or LARGE tools. This is another good dated video. John Jordan’s method of finding his way around inside of a hollow form is different than Dave Ellsworth’s. I use a mix of the two methods. It is always good to get a second opinion thus I like recommend this DVD for beginners. It is hard to go wrong with any DVD by Mike Mahoney. 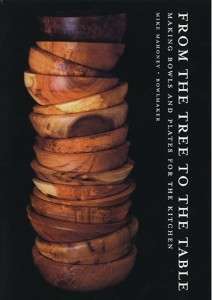 His “From Tree To Table” is one of my favorites. It is now out of print. His “Heirlooms” DVD is the closest replacement. It is hard to go wrong with any book by Richard Raffan. However, he uses a Bowl gouge with a Tradition grind rather than an Ellsworth/Irish/Side grind. What is the best way to cut up a log to make a bowl or hollow form? Why do my finished projects crack? Why do my bowls go oval? Why do the rims of my bowls distort? What is the best way to orient the grain in a log? This very good DVD by John addresses all of the above questions plus a lot more. It is full of simple and PRACTICAL advice on how to avoid a lot of problems and pain. In my opinion there are 2 general types of DVDs. “Learning” and “Demo”. I prefer “Learning” DVDs. All of the DVDs I have recommend above are “Learning” DVDs. In “Learning” DVDs the video camera is mounted above the bed of the lathe or over the shoulder of the turner. This allows you to see how the turner is holding the turning tool, moving the tool, tool angles, etc. Thus you can learn from the DVD. In “Demo” DVDs the video camera is facing the turner, like being in the audience at a demo. You get a feel for what the turner is doing, and maybe some inspiration. But, you really can not see how the turner is using a tool and thus really can not learn from the DVD. Great collection – thanks for putting these together. I use most books now for inspiration. To that end I amy add a book to your list: 500 Wood Bowls. Carl – Thanks for sharing !